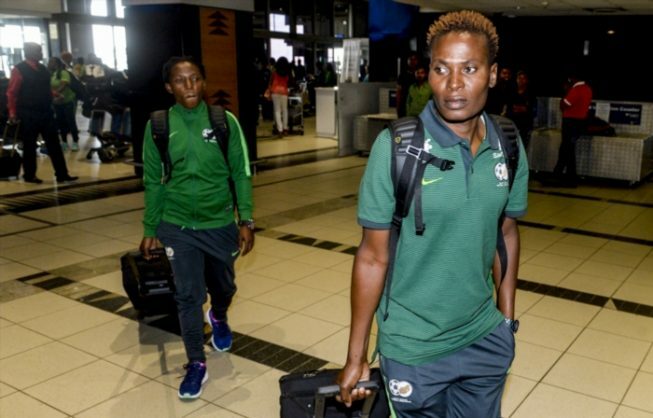 Banyana Banyana will face Finland in the ninth/tenth place playoff match at the Tassos Markos Stadium in Paralimni on Wednesday instead of Nigeria as earlier reported. According to the fixture on the Cyprus Women’s Cup website earlier, the South African senior national women’s team were set to play Nigeria, but a change in fixtures will see the South Africans play the Finish ladies once again having met earlier on in the group stages of the competition. Banyana Banyana finished bottom of Group A, with Finland occupying the third spot with both sides finishing with a point each in the group phase. This will be the third meeting between the two nations with their first meeting back to the 2015 edition of the Cyprus Cup, with the Europeans emerging victorious 2-1. Meanwhile, veteran defender Noko Matlou will captain the sides against the Finish ladies as she makes her 150th appearance for Banyana. Kickoff is at 11am.